The Filippo Berio Alfa Romeo’s first debut at Silverstone! You might be aware that last year, we celebrated our 150th anniversary- but a fact you may not know about Filippo Berio is that racing Alfa Romeo’s is part of this 150 year heritage. 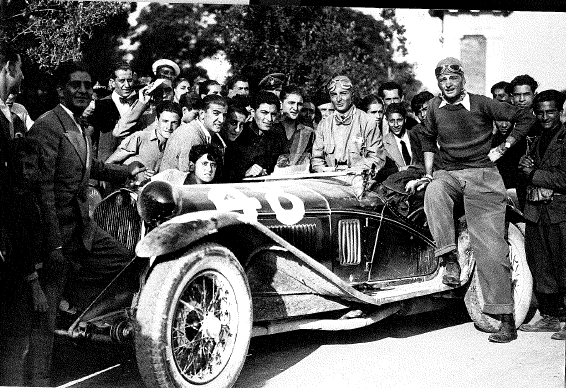 Eugenio Fontana, who ran our company was a gentleman racer in the 1930’s, pictured here with his Alfa Romeo 8C 2300. On the Easter weekend, the memory of Eugenio was relived at the Silverstone BRSCC Alfa Romeo Championship, driven by part-time racing driver Andrew Fulcher. 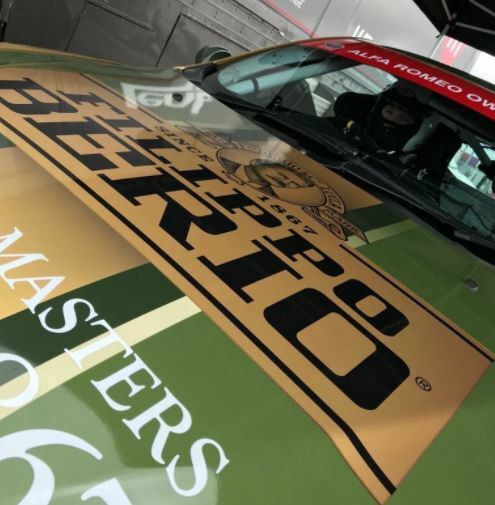 Andrew’s Alfa looked stunning and immaculate, completely wrapped in Filippo Berio livery with our signature gold and green print, and our iconic extra virgin glass bottle proudly displayed on the side of the car. This was quite a sight to see zooming past on the race track! After a year out of action and some tricky weather conditions on track, Andrew was happy to finish the race in P5 from a P8 start. We were thrilled to relive a passion for racing, once shared by Eugenio and we can’t wait to see the Berio Alfa out on the race track soon!